Aster from Chantecaille Hydra Chic lipstick range came out two years ago, around the time Chantecaille released the Turtle palette. I don't know why it took me ages (forever, in makeup years) to add this lovely red plum shade to my collection, but I waited until I ran out of something else before I bought Aster late last year. Compared to the very popular Chantecaille Lip Chic line, Hydra Chic lipsticks are more opaque, offer full coverage and longer wear. 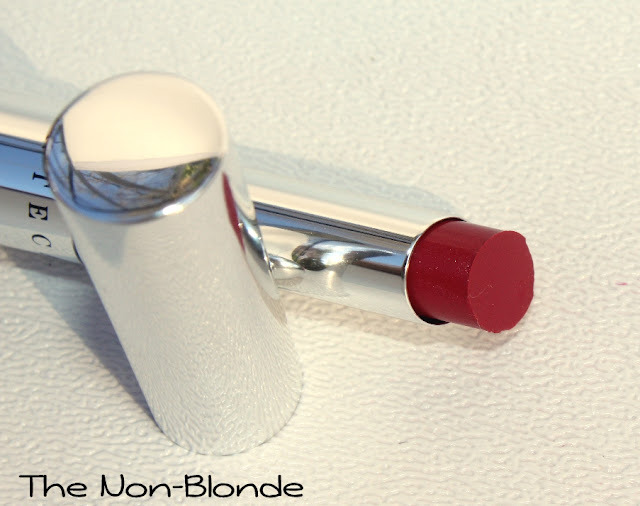 The lipsticks are also very creamy, have an elegant satin finish and feel very rich and pampering on the lips, though less balmy than the Lip Chic range. The texture is incredibly soft and pliable (I hope the swatch above gives you an idea) and I prefer to apply it with a brush to get the full effect and precision of Chantecaille's polished look. Aster may not be a classic summer color, but it is a classic nonetheless. 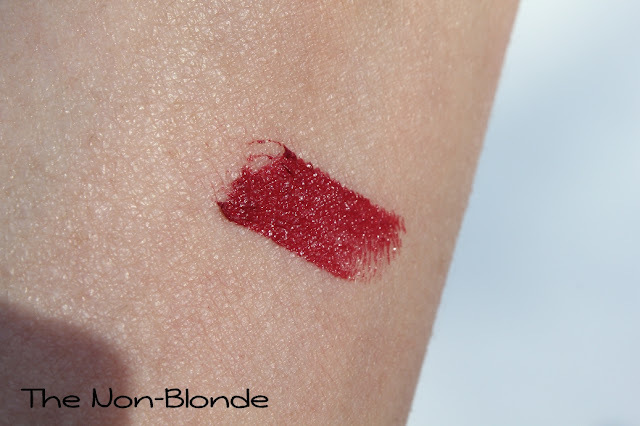 The plummy shade is very flattering, and since Hydra Chic lipsticks are relatively low maintenance (require only minor touchups) it's perfect for a quick "sunglasses and red lipstick" kind of look, with or without a wide brimmed hat. 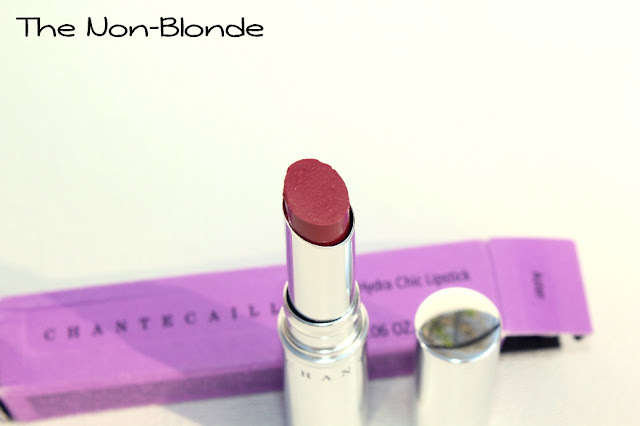 Chantecaille Aster Hydra Chic Lipstick ($34) is available at select department stores and from Chantecaille.com. I have never worn a creamier lipstick than this and I have to laugh, when I first tried it I made a mess since it was so creamy! Definitely a brush helps.